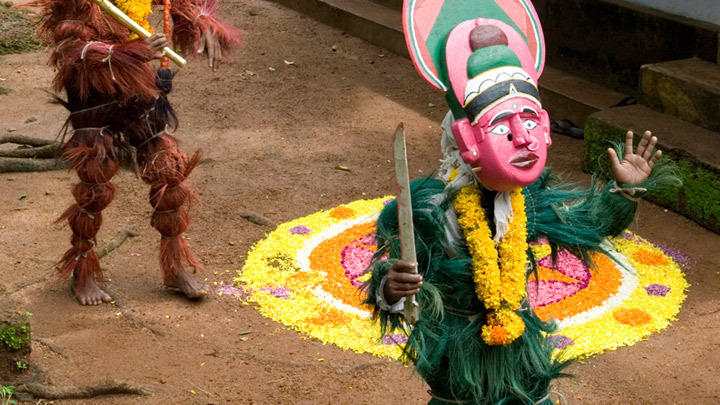 Kummattikkali is a mask dance popular in some of the northern districts of Kerala. 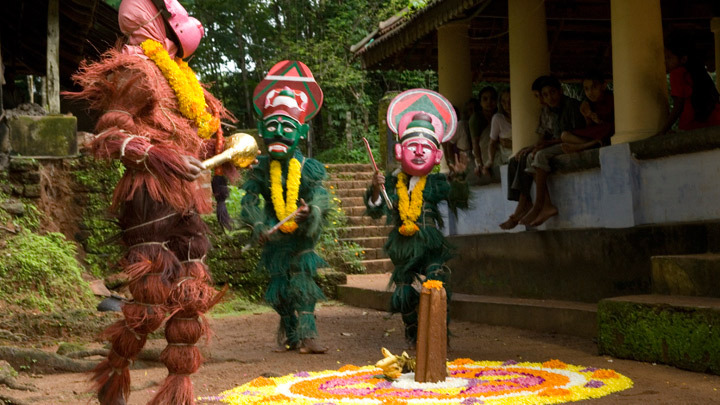 The dancers, wearing painted wooden masks and sporting sprigs of leaves and grass, go dancing from house to house. 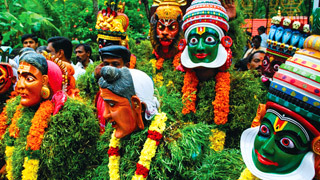 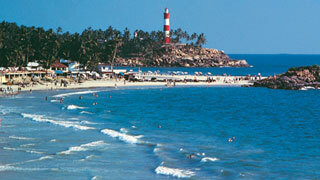 A popular Kummatti character is Thalla or the witch; the others represent various Hindu gods and goddesses. 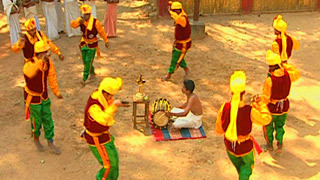 The songs deal with devotional themes and are accompanied by a bow like instrument called Ona-villu. 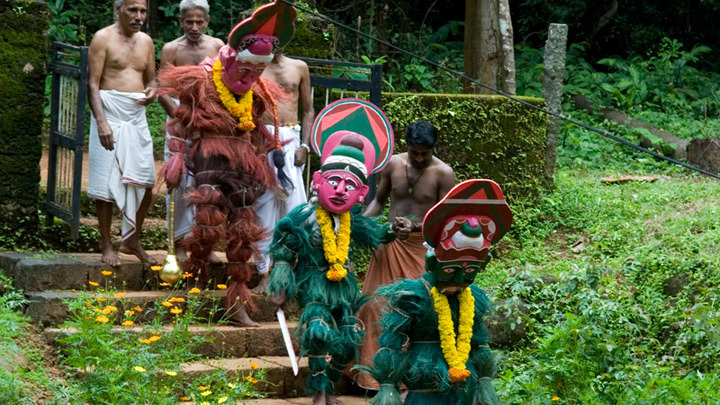 No formal training is required to perform the Kummattikkali, and often the spectators join in the performance.